Stating the obvious, we finished 7-3 and tied for 2nd in the OCC. It was the 41st time in school history that the Riders have won 7 or more in a season. The win over Wooster was the 569th in school history, placing us in the top 25 of all Ohio schools, per this link. Something else I've just discovered, if my records are correct, this was our 99th season of football. That would make the 2009 season, the 100th in school history!!! Our first year was in 1903, but there was a gap (either records were not kept, or there was no team) from 1904-1908, and then again from 1910-1911. So....you've been warned. There is nearly a year to begin planning festivities for the 100th year of Orrville football. Maybe an All-Century team? Special night honoring great Orrville players from each generation? Throwback uniforms? Oh, the possibilities. We'd better form a committee right now. Statistics wise, we scored 281 points, 4th highest this decade, and gave up only 152 points, our best defensive effort (in terms of points allowed) since 1996. This was the first year of the 3-3-5 defense, and for getting off to such a rocky start, the defense really progressed throughout the year, culminating with 2 shutouts in the last 4 games, and giving up a total of just 44 points (8.8 ppg) in the final 5 games of the season. One very interesting stat, we were 7-0 when scoring over 20 points. The Riders scored 51 in a week 6 win over Mansfield Senior, their first time above 50 since a 2004 win over Lexington (56-40), and just the 4th time this decade they've broken the 50 point barrier. For the season, the Riders had over 4000 all purpose yards (1601 rushing, 1780 passing, and 705 return yards). They were led in scoring by Sam Miller with 42 points, Aaric Milligan was second with 40 points. Look out Vegas....here I come. As long as I don't end up like Jimmy "The Greek." Pretty simple, but deserving nonetheless. Next year holds plenty of promise, as almost all of our skill positions are back, as well as 4/5ths of our offensive line. The schedule is exactly the same, only locations flipped. It's WAAAAAAY too early, but a 9 or 10 win season is not out of the question. It does appear the season will start a week later than normal, with the Northwest game coming in the last week in August, and the Wooster game being played on October 30th. There's also the possibility of Orrville dropping down to D5, which would most likely put the Riders in the same region as most WCAL teams. As always, we'll see what happens. To the seniors, thank you for your dedication and for carrying on the tradition of Red Rider football. To the underclassmen, work hard and come back hungry. You have A LOT to prove in 2009. Good is nice, but great is better. Let's be great next season. Note: This is the third (and last) in a series of "lookbacks" into some of the great games and great performances in Orrville history against their rivals from Wooster. Today's feature details the 1982, 1987 and 1994 games. The Generals again entered the week 10 matchup as the favorites, but the Riders entered Mauer Field and came away victorious, their 3rd straight win at Wooster, 26-6. The Generals tallied nearly 300 yards through the air, but only managed 6 points, as the Riders used big plays and took advantage of every opportunity. Here's the game article, note that the Wooster QB is their current head coach Mike McCreary. Uni Note: Note that the Riders are wearing white jerseys on the road.....so somewhere between 1977 and 1982, the switch to "red at home" and "white on the road" was made. This is not from a Wooster game, but it just might be the quintessential Orrville Football picture. It simply has it all......Mo, cowboy hat, skull stickers, Tom Bolyard...simply a work of art. If you do nothing else, you need to look at this picture. 1980's Orrville Football personified. This was the 3rd of 4 undefeated regular season in the 80's for the Riders, and one that saw their defense give up a TOTAL of 39 points in 10 regular season games, including a complete shutout of every AOL team. All that was left was to beat Wooster, and the Riders came through, posting a 21-10 win at Red Rider Stadium. The Generals rushed for 122 yds against the Steve Kovacs led defense, the only team to rush for over 100 yds as a team all season. This was the first Orrville-Wooster game at the new Follis Field, and the Riders christened in the way only a Red Rider could love, by putting up 40 points and shutting out the Generals. The Riders potent offense led by QB Jared Zwick, RB Tom Reusser and WR's Marcel Denson and Renauld Ray drove up and down the field and the Riders senior laden defense held the Generals in check. It would be the first of two wins at Follis Field, and the first of 2 shutouts, as the Riders would beat Clear Fork the very next week in the first round of the playoffs 19-0. The Riders won more games at Follis Field in 1994 than the Generals did, and the Riders would continue the dominance on the basketball court, beating the Generals at the College of Wooster a month later by the same 40 point margin. The 1994 Riders would advance all the way to the state finals in Division 4, before being bounced by Germantown Valley View. Here's the article from the game. That's it for the rewind machine....hope you've enjoyed reading them as much as I enjoyed researching them. Honestly, I could a writeup for every Orrville/Wooster game, it was hard picking just a few. I'd love to hear any and all feedback. Thanks for reading. Last Week: Orrville beat Madison 41-7, Wooster beat Mansfield Senior 38-13. This is the 98th meeting between these 2 rival schools, one of the longest in the state, and when you talk about Orrville versus Wooster, the old cliche of "you can throw the records out the window" is very apt. It truly does not matter if 1 team is undefeated and the other is winless, it typically has very little impact on this game. The game can be a season maker or a season breaker. It can win a league title or lose a league title. It can secure a playoff spot or eliminate a team from the playoffs. The Riders have owned the series in the "playoff era" (1972 to Present) winning 23 of the 35 games between the school, including the last 3. The Riders are 4-3 at Follis Field since it's inception in 1994. Quick History Note: Here's a picture of Charles Follis from 1899 surrounded by his Wooster High teammates. Even though it's Wooster, that's a pretty awesome picture. Check out an early version of shoulder pads on the 1 kid holding the sign. And the ball Follis is holding is looks much more oblong that footballs today. This picture was taken 4 years before Orrville and Wooster would square off for the first time. Both teams enter the game with identical 6-3 records, and both teams mathematically still have a shot at making the playoffs in their respective regions....albeit a terribly small percentage. Drew Pastuer's (COW math professor) Fantastic 50 web site has the Riders with a 1% chance of making the playoffs and the Generals with an 8% shot. As for the game itself, the Generals rely heavy on Senior running back Shawn Riley, the OCC's 2nd leading rusher with 1079 yds and 12 TD. He is also 2nd in the OCC in punt return yardage with 255 yds and a score. He is less than 100 yds away from gaining 1500 all purpose yards for the season. The Generals complement Riley's running with a balanced passing attack. Senior QB Nick Allen has thrown for 1201 yds on the season, but only 5 TD's to 13 INT's. Allen's favorite target is sophomore Duke Price (24 rec. for 430 yds and 4 TD). Orrville is led on offense by junior signal caller Joe Besancon, who leads the Riders in passing yards (1559 yds, 8 TD) and rushing yards (527 yards, 5 TD). Seniors Josh Graber (263 yds, 2 TD), Dee Miller (191 yds, 1 TD), junior Thirajn Pittman (164 yds, 3 TD) and freshman Mason Monheim are all viable options out of the Rider backfield. The Rider defense has only allowed 152 points in 9 games so far, and barring a scoring outburst by the Generals, are poised to hold opponents under 200 points for a 10 game season for the first time since the 1999 season. The Rider defense is anchored by junior Chase Hoobler (114 tackles, 2 INT, 1 sack) and senior twins Angel (63 tackles, 2 sacks, 1 INT) and Albert (66 tackles, 2 sacks) Kazim. The Wooster defense is led by Ryan Huttinger (90 tackles, 2 INT and 1 sack) and Matt Kopina (69 tackles, 3 INT's). Summary: Both teams have taken similar paths to this game. Both have beaten the bad teams on their schedule, and gotten beat by the good teams. I think this has the potential to be a very good game, with both teams playoff hopes almost invisible, all that's left is pride and bragging rights. Prediction: A tight first half, but the Riders pull away late and beat the Generals 28-14. And for the 4th year in a row.....Rider fans will celebrate. One item of note, Tipton started out 1-6-3 in his first 10 Wooster games, but went 9-3 over his final 12 seasons. Almost opposite, Bill McMillan was 10-2 in his first 12 years against Wooster, but then lost 5 of his last 6 to finsih 11-7 against the Generals. Note: This is the second in a series of "lookbacks" into some of the great games and great performances in Orrville history against their rivals from Wooster. Today's feature details the 1975, 1976 and 1977 games. 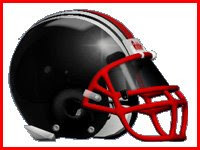 Note: This is the first in a series of "lookbacks" into some of the great games and great performances in Orrville history against their rivals from Wooster. Today's feature details the 1959 and 1964 games. In what was probably the first great individual performance by a Red Rider in a Wooster game, senior back Bobby Howard rushed for 210 yds and 3 TD's, and a 75 yd punt return for a TD in leading the Riders to a 32-22 win at Orrville. Howard's 3 rushing TD's were not merely goal line plunges, but rather long runs of 72, 45 and 50 yards. The 50 yd TD run came in the 4th quarter as the Riders were nursing a 26-22 lead, and effectively put the game away. Howard's performance would not be eclipsed until nearly 20 years later by Mark Griggs' 5 TD's in the 1975 game. At the time, the win was the 2nd highest winning score by an Orrville team and broke a 5 game winless streak (0-4-1) against the Generals, who were favored in this matchup by 2 TD's in "pregame ballotting" (I'd love to see what that consisted of), according to the game article. The combined 54 points was the highest point total in an Orrville-Wooster game since 1931 (A 61-0 Wooster win). With the win, the Riders finished the '59 season with a 4-5 record, while the Generals finished 6-4. 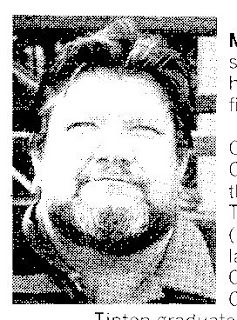 Note: I'd post the article, but the microfilm was very blurry. The 1964 Red Rider squad came into the Wooster game with an 8-1 record (only loss to Coventry) and their 2nd Chippewa Conference title (in the 2nd year of the Chipp Conference) in a row, boasting a defense allowing less than 7 points a game, and an offense that averaged over 35 ppg. Leading the way for the Riders was senior all-state back Bob Houmard, who ran for 1000+ yds plus in each of his junior and senior seasons. Legendary coach Bill Shunkwiler called Houmard "the best all-around back I've coached." Houmard found the endzone twice, and ran for 136 yds on 25 carries, but was also assisted by a littany of fellow Red Riders, led by senior back Mike Norman (82 yds on 14 carries) and junior back Fred Ray (110 yds on 6 carries), Jim Lyon (56 yds & a TD) and Dave Yonto (52 yds on 2 carries). The Rider defense was led by cornerbacks Paul Reusser and Howard Lorson. The Generals had no answers on either side of the ball, and the Riders ran at will to a 40-8 win over Roman Majerczak's Generals at Mauer Field, capping a 9-1 season. It was Wooster's most lopsided loss of the season, and most lopsided Orrville win in the history of the series to date, a record that stood exactly 30 years. What struck me about this article was the complete team effort, on both sides of the ball. I'd like to believe that the young men on this team banded together for 1 common cause, to beat Wooster. Again, the microfilm printed out very blurry, but here's a picture from the game of Bob Houmard slicing through the Generals defense. 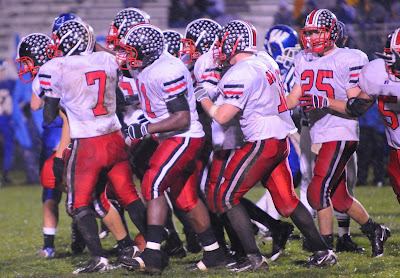 Uni Note: Take a look at those Orrville helmets.....what a thing of beauty. The article mentioned a "jinx" on the Riders when it came to beating Wooster, and in looking through the archives, it was accurate. The Riders won over 70% of their games in the 1960's but only managed a 2-5-3 record against the Generals, and especially tough games in 1960, 1968 and 1969 where the Riders came into the Wooster game undefeated, but left with either a loss (1960) or a tie (1968, 1969). Last Week: Orrville lost to West Holmes 19-17, Madison lost to Lexington 48-15. This is the 38th meeting between the 2 schools, making it the 3rd longest rival in terms of games played against each other. Only Wooster and Wadsworth have faced the Red Riders more than the Rams (the combined games between Millersburg High and West Holmes total 84, but in terms of games against 1 school, Wooster is first, Wadsworth is 2nd and Madison is 3rd). The Riders have won 4 of the last 5 meetings, including the last 2, both by 7 points. Both teams come in licking their wounds. The Riders lost to West Holmes, and their playoff chances took a serious hit, while the Rams were the latest victim of the Lexington Minutemen. The Rams are a run first team, having 2 backs over the 400 yd mark on the season. They also have 1 receiver of 400 yds as well, so they are not afraid to throw the ball. The Rider offense has struggled in the past 2 weeks, failing to score more than 20 points in either game. One bright spot in last week's game was the seeming emergence of senior Josh Graber as the feature running back, who posted 117 yards on just 8 carries, and is averaging 8 yards per carry for the season, only Pickens from Lexington is averaging more yards per carry. It will be interesting to see if Graber is given more carries in an attempt to jump start the offense. The Riders may be without senior DB and kicker Aaric Milligan who left the West Holmes game early with a leg injury. Both teams have plenty left to play for, and this series has produced some very memorable games, it will be interesting to see how the Riders respond and if they are ready to put last week behind them, and if Madison can again play the Riders tough and hang around until the 4th quarter. Summary: The Riders can still make the playoffs given they win their last 2 games and get some help. A loss to Madison would end the season and be indicative of a team that's given up. I have plenty of faith in the coaches and the players to motivate themselves to come out and play hard. Prediction: The Riders get back on track and build some momentum toward a week 10 matchup with Wooster with a 29-15 win. Deflating Loss to West Holmes. For the 2nd year in a row, the Knights scored a victory over the Riders, 19-17. The win was the first on Orrville turf since 1992 (the 1996 win was a forfeit) and again threw the Riders playoff chances into limbo. The Riders held the lead (17-13) and the ball with 5 minutes left but were unsuccessful in running time off the clock and were forced to punt. The Knights took over and drove 68 yards for the game winning score. The Riders hopes for their 20th appearance in the state playoffs took a major hit with the loss to West Holmes. Orrville would have most likely been in the playoffs if they had won their last 3 games, with very little help needed. Now the Riders need to not only win out, but get help in the forms of several teams ahead of the Riders losing. Currently the Riders sit in 12th place, a full 2 points out of 8th place. Let's take a closer look at games this week that will impact the Riders playoff chances.....teams that Orrville fans should be rooting for are in red. Triway (6-2) @ Tuslaw (8-0). Very simple, a Titan win would seriously wound, if not kill, Orrville's chances. Triway could end up as high as 5th place with a win over the Mustangs. A Triway loss means the Titans would need to beat Timken and get help to get in. New Philadelphia (8-0) @ Coshocton (7-1). See above. A Coshocton win makes it very difficult for the Riders. The Redskins are fresh off a win over winless Maysville, and end the season against (1-7) River View. Neither game gets Coshocton too many 2nd level points, so this week's game against the Quakers is pretty much a win-or-stay-home scenario. A Redskin win would vault them into the top 8. Girard (8-0) @ LaBrae (7-1). A game against 2 schools I know very little about. The winner is in the top 8, the loser needs help. The best situation (and most likely) the Riders can hope for is for Girard to lose to LaBrae and then lose in week 10 to undefeated Liberty. This would end Girard's hopes. Perry (7-1) @ West Geauga (5-3). The Pirates sit 5th and look to solidify that position with a win. A loss would certain tighten up the standings and push the Pirates down to the 7th or 8th spot, and make their week 10 matchup with Chagrin Falls a must win. I don't think a win or a loss directly impacts the Riders, but I'd rather see Perry win and solidify their 5th or 6th place standing. So.....where will we sit after this week??? The million dollar question. Given a Rider win over Madison, a Wooster win over Senior, and a Clear Fork win over Ashland, I project the Riders to only move up 1 spot to 11th, behind Manchester (8th), Triway (9th) and Coshocton (10th). With Manchester's big week 10 game against CVCA, and Triway and Coshocton running low on 2nd level points, a jump to 8th place by the Riders after a win over Wooster is not only possible, but probable. Tim Hiller - QB - Western Michigan. The drumbeat of solid statistical games continues for the OHS grad, and this one may have topped them all. Hiller set school records for attempts (63) and completions (42) in a game and threw for 345 yds and 4 TD's leading the Broncos to a 34-28 comback win at Buffalo. Tim is statistically among the top QB's in the country, ranking 5th in passing yards (2046), 2nd in attempts (283), 2nd in completions (193) and tied for 2nd in TD passes (23). In terms of WMU school records, Tim needs 11 more TD passes to tie Tim Lester's mark of 34, and needs 1593 yds to break the record for passing yards in a season, also held by Tim Lester (3639). With five games left, these records are all reachable. For his efforts against Ohio, Tim was named Co-Offensive Player of the week for the MAC West. The Broncos (6-1, 4-0) are currently on top of the MAC West division, tied with Ball State and Central Michigan with 0 losses. But in the latest Rivals 120, the Broncos weigh in at #61, while 4-2 Central Michigan (WMU's next opponent) is almost 20 spots higher at #43. Doesn't appear that the Broncos are getting much respect. Speaking of respect, here's a nice article about Tim's maturation in the WMU program. It's nice to see Coach Cubit giving out some well deserved praise to his junior signal caller. Pretty amazing also that Tim is set to earn his MBA (Masters in Business Adm.) the spring after his senior season. Tom Brenner - DB - Ashland. Tom had 9 tackles (6 solo and 3 assist) including 1 sack in Ashland's 43-24 win over Northwood. The win puts the Eagles at 5-2 and 5-1 in the GLIAC. 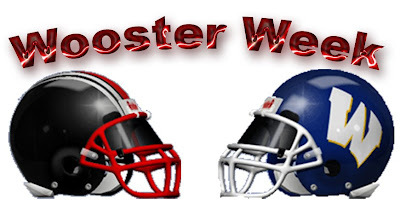 Last Week: Orrville beat Ashland 21-0, West Holmes beat Senior 14-13. This is the 36th meeting between the Knights and the Red Riders, with the first game in the series coming in 1967. The Riders have won 7 of the last 9. The two teams did not play between the seasons of 1997-2002, but have renewed the rivalry since both joined the OCC in 2003. Last season's win by the Knights (33-17) was the most lopsided Knight win since a 24-7 win over the Riders in 1982. The Knights are coming off a 1 point win over Senior, while the Riders shutout Ashland 21-0. The Knights currently sit in 15th place in Division III Region 11, while the Riders are 10th in Region 13 and stand to make a jump into the top 8 with a win over the Knights. The Riders posted their first shutout in nearly a year last week, and are on pace to have their best defensive season since 1999, currently allowing only 18 ppg. The Knights boast two backs who have cracked the 500 yd mark on the season in senior Mark Rohr (636 yds) and junior Brandon Mackey (516 yds). Junior Zac Mathis leads the Knights air attack, passing for 508 yds and 7 TD's on the season. The Riders are led on the ground and through the air by junior QB Joe Besancon. He has ran for 367 yds and passed for another 1244 yds and 9 total TD (6 passing, 3 rushing). Besancon's favorite target is junior Sam Miller who is first in the OCC in receptions with 30 and 3rd in receiving yards with 416. Summary: The Riders remember their trip to Millersburg last season, and the sting is still present from that 33-17 loss. West Holmes will look to win only the 4th game on Red Rider Stadium turf, and first road win at Orrville since 1992. Prediction: The Riders post a convincing 31-7 victory and take their next step towards the playoffs. Senior Aaric Milligan caps off the scoring with a 40 yd+ field goal. Here is my best educated guess on games this week that will impact DIV, R13. I'm only looking at teams currently in 5th through 12th position. I think the top 4 is about as solid as can be (Steubenville, Tuslaw, St. V. and Mooney). And from that, and the resulting 2nd level points earned by each team, here's where I think each team will stand after the weekend. The big winners....Orrville & Perry, due to their strength of schedule, jump from 10th and 9th to 7th and 6th respectively. Triway and Coshocton will drop the most, largely due to very little 2nd level points from their opponents. Coshocton will get no 2nd level points for beating Maysville and Triway will only get 5 second level points for beating Tusky Valley. Compare to Orrville who will get 16.5 second level for beating West Holmes alone. The Wild Card....Manchester. A win over Tuslaw would put the Panthers in the top 4, and also bump Triway back into the top 8. The Riders took care of business Friday, beating Ashland 21-0 on the road. Nothing too earth shattering, other than Dillon Corbett's kick return for a TD to open the 2nd half. Kickoff returns for touchdowns have become an endangered species over the last several years, but it was just a matter of time before Corbett or Sam Miller broke one. What I think is getting overlooked is the Riders performance on defense. The Riders gave Ashland their first shutout in nearly 2 years, and held the OCC's leading rusher Shane Kipp to just 27 yds, and the entire Ashland offense to just 82 yards. The Riders jumped up 1 spot to 10th in the latest Region 13 poll. Click here for the detailed standings. The Riders need to keep winning and all is well. Tim Hiller - QB - Western Michigan. Another solid day for Tim in a 41-20 win over OU. He was 24/37 for 347 yds, 4 TD and 1 INT. For the season he is 151/220 for 1701 yds, 19 TD and 4 INT. Hiller's passing yards put him 5th in the entire NCAA (D1) and he's tied for 2nd place in TD passes. Tom Brenner - DB - Ashland. Tom had 9 tackles (4 solo and 5 assist) and 1 INT in the Eagles 41-14 win over Wayne St.
Tony McMorrow - DE - Heidelberg. Tony had 2 tackles in Heidelberg's 52-14 loss to Otterbein.